One thing that has long puzzled me is Bollywood’s reluctance to do real life stories. Where Hollywood has created films on the lives of people ranging from Napoleon’s one-time fiancée to an obscure British missionary in China, we have, to show for years of fascinating history… Shahjehan and Changez Khan, both so badly warped that they bear little resemblance to fact. Dr Kotnis ki Amar Kahani is a refreshingly unusual film in being relatively accurate, as well as entertaining—but a flash in the pan. Our generally avid enthusiasm for the freedom movement and its exponents gave me hope that Shaheed, the story of Bhagat Singh, might be worth a watch. 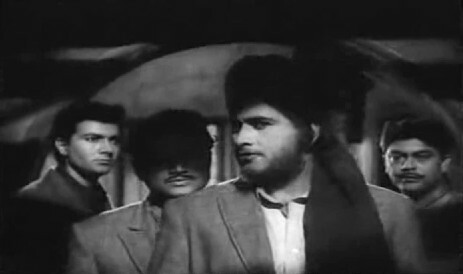 This, after all, was the young man who inspired an entire slew of films, beginning with (or so Wikipedia would have us believe) a film in 1954, followed by a 1963 film starring Shammi Kapoor, and this one: the first of Manoj Kumar’s many patriotic films. There have been later films—2002, for instance, saw two films, one a superb one starring Ajay Devgan and the other with Bobby Deol as Bhagat Singh—but Shaheed was the first major Bhagat Singh story. 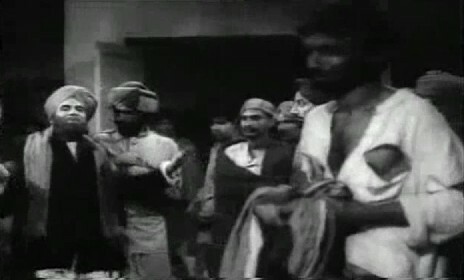 The film begins on a lohri in the early 1900’s. At the house of the wealthy and powerful numbardar or village bigwig, a bonfire’s been lit to celebrate the festival, and among others, Kishan Singh (D K Sapru), his wife (Kamini Kaushal) and their son Bhagat (Raja) are present. The festivities are disrupted by a distraught peasant who comes to plead with the numbardar against the atrocities he perpetrates in the name of the British administration. Standing up in support of the peasant is Kishan Singh’s younger brother Ajit Singh (Krishan Dhawan). Much turmoil ensues, and ultimately, Ajit Singh is compelled, for his own safety, to leave India and go abroad. Little Bhagat Singh is puzzled by this—why did chachaji leave his wife and his friends and relatives and go away? Why do the British rule India? Why did we let them in, anyway? Years pass, and we’re at another lohri. Again, a beleaguered peasant raises an outcry against an evil numbardar, and once again, a member of Kishan Singh’s family speaks up: this time, it’s Bhagat Singh (now Manoj Kumar). And from here onwards, we see Bhagat Singh evolving into a revolutionary. We see him as part of the Hindustan Socialist Republican Association, joining hands with other revolutionary leaders such as Sukhdev (Prem Chopra), Rajguru (Anand Kumar), Chandrashekhar Azad (Manmohan), Durga bhabhi (Nirupa Roy) and Bhagat Singh’s so-called ‘sister’ (Indrani Mukherjee). Exactly how he meets up with each of these people isn’t explained; what we do see next is how Bhagat Singh plunges into a life of anti-British revolt—the ‘inquilab’ he so vociferously expounds. The first landmark event that occurs is the non-violent protest led in Lahore by Lala Lajpat Rai against the Simon Commission. When Lala Lajpat Rai refuses to back down in the face of the police, he is beaten down and later dies, an incident which inflames Bhagat Singh and his associates, who vow to avenge Rai’s death. Their vengeance takes the form of assassination—that of Scott, the police chief of Lahore. 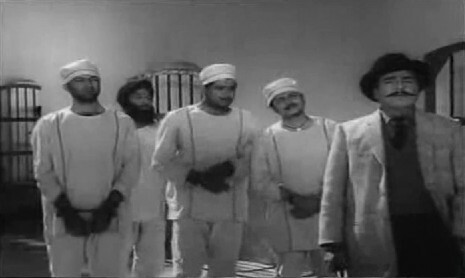 Bhagat Singh, Sukhdev, Rajguru and Jai Gopal concoct a plan to ambush Scott, but things go haywire and they end up killing Scott’s deputy, Saunders, instead. The police are now on Bhagat Singh’s trail, so, to escape, he resorts to disguise: he shaves off his beard and cuts his hair. 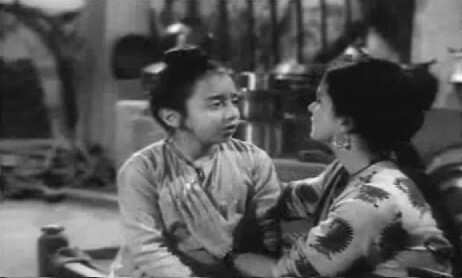 Even Durga bhabhi, confronted by Sukhdev’s new friend, is unable to recognise him until Bhagat Singh reveals himself to her. Meanwhile, in Delhi, things are hotting up at the Central Legislative Assembly. The British are trying to push through the creation of the Defence of India Act, which will curb the activities of revolutionaries like Bhagat Singh. To show their ire, Bhagat Singh and Batukeshwar Dutt (?) 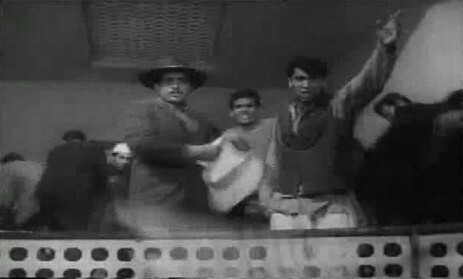 fling a bomb in the assembly (this particular scene was actually filmed at the National Parliament, which was the site of Bhagat Singh’s derring-do. 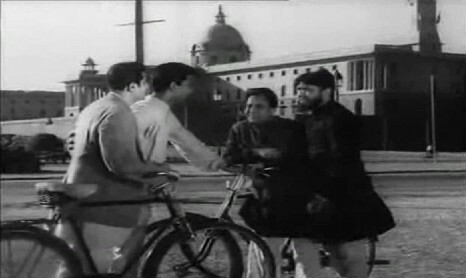 It’s been credited in Shaheed as the first instance of a scene being allowed to be filmed in Parliament). They are arrested, and a trial follows, with Asaf Ali (Jagdev) representing the defence. But the entire lot of them—Bhagat Singh, Batukeshwar Dutt, Sukhdev, Rajguru, etc—are jailed. The British try to pressurise Bhagat Singh and Sukhdev in particular and convince both that the other has turned informer for the British. Eventually, when Bhagat Singh does not yield even after much torture (he’s stripped and pinned down onto slabs of ice, in the dead of winter and whipped till his skin’s in tatters), they let him go back to his cell. In the jail, Bhagat Singh and his friends also come in contact with other prisoners. There is, for instance, the condemned bandit Kehar Singh (Pran), a hardened cynic who thinks all this revolution business is bunkum. 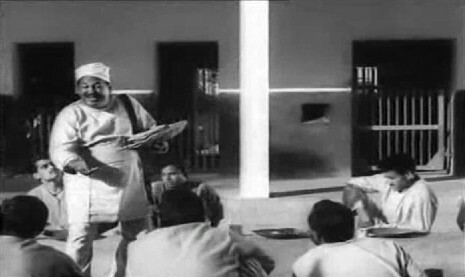 (Dutt draws a picture of Mother India on the wall and tries to explain to Kehar Singh why all Indians must unite to free Mother India of her chains, but the man refuses to listen). There is Chhattar Singh (Anwar Hussain), who understands and tries to help, but can do very little except sympathise. And there is the jailor (Madan Puri), who is the face of the administration: inhuman, brutal, seemingly without a shred of sensitivity. To know what happens next, have a look at the Wikipedia page on Bhagat Singh. The accuracy. Okay, I have to admit that I’ve not done a vast amount of research to check the verity of Shaheed, but from what little I’ve read about the life of Bhagat Singh and about incidents in the Indian freedom movement around that time, Shaheed seems to have remained fairly true to fact. Interestingly, among the people consulted to create the script of the film was Bhagat Singh’s mother. That probably accounts for the fact that in the film Bhagat Singh’s relationship with his mother is emphasised. She is the one he turns to for advice; she is the one who, by her wisdom and her patience, upholds her son through his days of torture and deprivation. The songs. 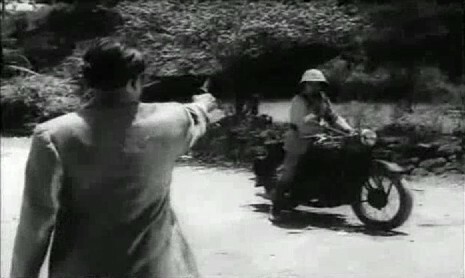 Sarfaroshi ki tamanna ab hamaare dil mein hai was written by the revolutionary and poet Bismil Azimabadi; Prem Dhawan wrote the lyrics for the other songs, which include some of Hindi cinema’s best-known patriotic songs: Ae watan ae watan humko teri kasam and Mera rang de basanti chola among them. 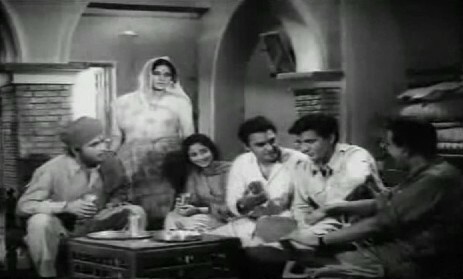 Prem Dhawan was also the music director for Shaheed. The heart is missing. The story is there, with the incidents and the facts all in place. The dialogues are there, the high-flown patriotic rhetoric and the vows to lay down one’s life for one’s country. None of that compensates, however, for the somewhat boringly one-dimensional nature of each of the characters. Even the main character, Bhagat Singh, is merely—what? Devoted to mother, whether that mother is Mother India or Kamini Kaushal. True, he’s a patriot, brave and headstrong and also pretty reckless, but what else? Why does he feel the way he does? What pushes him? What pulls him? Reading about Bhagat Singh, I couldn’t help but wish the film had gone a little deeper into how this firebrand of a young revolutionary thought. What it becomes, unfortunately, is a fairly superficial story of a young man who died for his country. There was so much potential here. I’m not a fan of Manoj Kumar’s patriotic films—I invariably find them almost jingoistic in their attempt to glorify all that’s Indian while denigrating anything that isn’t Indian. Shaheed is, I think, better than Upkaar or Purab aur Pacchhim in that respect: more balanced and less ‘The West is bad and India is great’. As a real life story, it’s interesting in parts, even if it lacks depth. And I guess one should be grateful that the writer didn’t drag in a romance for Bhagat Singh. An item number, yes; but an overt love interest, no. Yu see the problem DO is the History in our part of the world is ‘fudged’, I mean to say it is re written or it will have different interpretations, as it suits a particular group. Really what we learnt in school was, am sorry to say humbug. I very much doubt we can make real life stories as it is bound to attract hoo haa. We have such rich history, so old civilization that we could make 10001 movies, but doubt it will ever happen, at least not in my time. Btw when Shaheed was released back in Nairobi we were packed off in groups from the school to show this in a big hall, and whatever the content we seemed to like it. Surely we cud never see it from a critical point of view. All in all, you have given a good and balnced view, so kudos to that. ash: I won’t completely agree with you about “history in our part of the world is ‘fudged'” – because that can be done only till a certain extent. Yes, as you mention, what’s taught in school may often be more what is believed to politically correct, but then that’s not where history stops. For a film-maker, at least, sources of history had better not be limited to school text books! The further back you go to the source, the fewer chances of coming across stuff that’s been twisted around to make it sound better. But yes, the chances of people creating a fuss because they don’t agree with a certain interpretation of history are very high! I do wish more films like Dr Kotnis ki Amar Kahani could be made – stories about people who aren’t that well known, but who have led interesting lives. Sharmi: Try The Legend of Bhagat Singh (2002, starring Ajay Devgan). That’s one I have seen and can recommend – a very well-made film and not, from what I remember of it, mere patriotic propaganda. Easily the best of the films related to the freedom movement that I’ve seen till now. Yu know my fudging remark is more related to what we learn in our schools, and still do, it was def one sided and the problem is that the effects of these facts tend to sit in our heads until we try to see the other side of the history ourselves ie when we grow up. What I recall from my History lessons was how great everyone was, how great their contributions were, and when we look at it now with a critical eye there were some/many points which were never discussed. And as yu have noted in many of our ‘patriotic’ movies yu see this being reflected also. I have just seen a Marathi version of Me Nathuram Godse Boltoy , and what I understood from it is something which we never even heard of in our school days. So what I mean to say is it not a balanced view. And we wud never been allowed to read this version, leave alone find any literature on this subject during our school days! I can put quite a few examples from the present History, and it surely has many contradictions. Similarly the conflict of interest tends to prop up when ever the History Syllabus is set for schools. History shud be told as it happened, and that I am afraid is not the case. I truly find that many of us get very touchy if we raise any criticism. Just look at the Indo-Pak History and how it is written or interpreted. This one I watched in the good old DD days and all I remember now is the songs and the ice-beating torture scene! The songs are lovely, but it’s not a film I’ll watch again, I think – not even to see Prem Chopra play a very good guy. I do have the Shammi version (with even better songs) in my to-watch pile, but it’s such a bad print that I haven’t been able to watch more than 30min of it so far! I love the songs here, the ‘item’ number Jogi Hum to lut gaye tere pyar me is so folksy and pretty. Mera rang de basanti chola makes me cry everytime. Surprisingly, I have never seen the movie, I am sure it was shown on DD all the time. Vidyawati, Bhagat Singh’s mother, was accorded the title of Punjab Mata and honored a lot during her lifetime. Bhagat Singh himself has an iconic status in Punjab, and a lot of punjabis dislike Gandhiji because he did not speak up for Bhagat Singh. I vaguely remember seeing Dilip Kumar’s Shaheed, but I don’t think it was about Bhagat Singh. ash: True, you’re very right about how everybody would be accorded ‘great’ status in our school text books. Especially, I remember, our primary school books had a lot of that ‘Akbar the Great’ and ‘Ashoka the Great’ etc, so that one ended up with a very warped and one-sided view of things. Our books were much better, wider and scope and better written, when we studied history in XIth and XIIth, but then, a lot of people didn’t study history after the Xth, so the damage had already been done…. incidentally, it’s a coincidence that you mention Me Nathuram Godse Boltoy, because yesterday, after posting Shaheed, I went on to look at the imdb entry for Nine Days to Rama, an English film about Godse. It’s banned in India. bollywoodeewana: Heh. :-) I was pleasantly surprised that at least as far as the facts are concerned, Shaheed seemed to be pretty accurate. I had no idea Shammi did a Bhagat Singh too, but perhaps bollyviewer will someday be able to finish watching her copy and let us know whether it’s worth looking out for! bollyviewer: Exactly. Okay for a one-time watch, but despite all those lovely songs and the chance to see Prem Chopra play really good guy, not a film I’d watch again! But if you do manage to finish seeing the Shammi Kapoor version – I’d love to read your review. Ava: Yes, I did know that Bhagat Singh had almost iconic status in Punjab. In fact, even when I was watching the film, I was reminded of Sobha Singh’s painting of Bhagat Singh – Manoj Kumar looks nothing like the hero, but I guess the spirit of the film is fairly true to reality. Authentic biographies are not made in India due to two Censors..One the official one at New Delhi, which toes the line set by the then party in power…and the unofficial ones.. who get offended by the flimsiest of reasons & want to even burn down theaters and heckle writers and filmmakers. That’s why Mani Ratnam can’t title his film ‘Ambani’ instead of ‘Guru’; Censor prolongs screening of Aandhi and Raajneeti, because the characters wear saris like Indira/Sonia; and “barbers association” have problem in the name ‘Billu Barber’!! Well said. I attended a panel discussion on Freedom of Expression at the Asian College of Journalism earlier this year, and most of the members on the panel happened to be writers and journalists from countries other than India. They had a very hard time understanding the extent to which, in India, writers/film-makers/artists have to tiptoe to avoid stepping on other people’s toes. I think there’s a tendency to be not just oversensitive, but even intolerant at times. No wonder our film industry seems to be dominated by mindless fluff. Make anything more real life, and someone’s bound to kick up a fuss. All I remember of the film are the songs, and the last walk to the gallows. But the songs are so, so haunting. I didn’t know that ‘The Legend of Bhagat Singh’ was so good. I missed it in the theatres. Will see it now. Oliver Stone could make & release ‘W’ based on George W Bush’s life, right during his presidency..
Banno: I love that “History is not really our forte as our nation, is it? Facts aren’t. All histories, collective or personal, are coloured with interpretations and a vague idea about time.”! Too, too true. And unfortunately, each individual history (or sometimes a communal history) collides with the history of another individual or another community. Just a small btw which relates how we will distort recent History, just heard in the Media, Babus can not find important files, notings and documents? from the Emergency ? How appropriate, ‘init ! Why don’t we archive our History in a safe and secure place ie the s/w power of the world can use digitization ? ISJ really one and another Kishoreda who took the establishment head on. Btw does any1 remember what the Q N A column was called in Filmfare ? ISJ was at his humoristic best, unfort me or ma buddies can not remember the name of this column. Arre, how can you say that we don’t archive our history properly?! We do – and we use digitisation too. :-)) What happens beyond that is a different matter, though… my sister was doing some research and needed permission to use some digital images. She knew exactly which images she needed to use; the project which she was working on was a government project; everything was above board – and they still took a couple of weeks to let her have a look at the digital data banks! The problem is that the bureaucracy is riddled with red tape, corruption, and often sheer indifference AND ignorance (the people my sister had to contend with obviously did not realise why it is convenient to have digitisation; they’d probably been given a budget to convert images to digital databanks, but then taking that the entire way – metatagging, etc – hadn’t been done). I had seen this film long long ago on DD. Don’t remember much except for the songs and the climax. 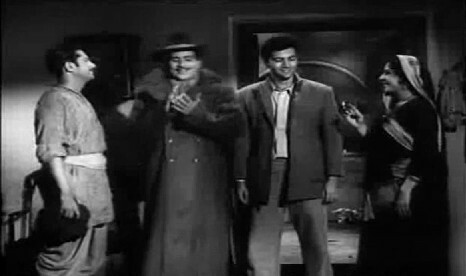 And that Manoj Kumar and Prem Chopra were very good looking in it. I totally love the songs. I even love the folksy Jogi hum toh lut gaye tere pyaar mein . The only other version of it that I have seen is Ajay Devgan’s The Legend of Bhagat Singh . It was a very well made movie and I really liked it a lot. Didn’t even venture watching the Bobby Deol version of it. But the sad part about movies like these is that I can’t think of watching them again. I had no idea that Shammi Kapoor had done Shaheed! Amongst all the Bhagat Singh movies that I’ve seen, the best version is The Legend of Bhagat Singh. What I liked best about the movie was that it traced the intellectual growth of the Revolutionaries. (Which as you rightly pointed out dustedoff, is sadly lacking in this movie). Also LBS paid due respect to other Revolutionaries like Sukhdev, Batukeshwar Dutt, Bhagwati Charan, Jatin Das etc…people who are usually relegated to the background. Sushant Singh as Sukhdev was real dynamite. 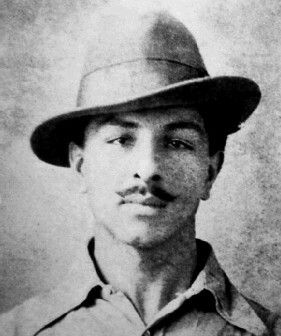 Watcher: In fact, when I was doing some background reading on Bhagat Singh, I discovered that he was very deeply influenced by Western thought, and that he spent a long time reading books, pamphlets etc from other parts of the world – and these were to later have a great effect on his ideologies. Shaheed has him mention the Bastille and the October Revolution etc in one dialogue, but that’s it. Nothing more. 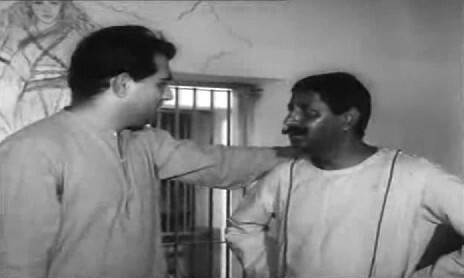 And oh, yes: Sushant Singh was superb as Sukhdev. That man’s a terrific actor; he deserves better. Dustedoff, that Wikipedia page is pretty informative, isn’t it? (I’d looked at it a few times before I saw you mention it. :) ) It is interesting that the page discusses both his Marxism and his anarchism. Yes, he was indeed influenced by some western thinkers! “It is interesting that the page discusses both his Marxism and his anarchism.” And a little bit of his atheism, too. Now that would have been very unusual in a Hindi film, especially back in the 60’s! But yes, I guess expecting any sort of discussion on Bhagat Singh’s ideological or historical influences would’ve been too much to expect. Manoj Kumar at least tended to make his patriotic films at a gut level – they were geared to make you feel patriotic, never mind appealing at an intellectual level. Unfortunately, they don’t even make me feel patriotic at an emotional level. Just slightly nauseated. I saw this movie a while ago and my first impression at the end of it was exactly what your conclusion is. It seems to be a reasonably good assimilation of facts, there is loads of patriotism on display – all that is fine. But somehow the movie seemed more like a documentary. Like you say, the heart was missing. I also wanted to know more about what was it that made Bhagat Singh such a revolutionary character, what made him mentally so strong that he could take so much pain, what actually went on in his mind. Somehow the movie does not delve so much into this – it is more like a narrative of events, with a high dose of patriotism of course. Yes, and even what little I read about Bhagat Singh (courtesy Wikipedia), it seems as if intellectually he was a very interesting person. Frankly, all that stuff about the beating up of Lalaji, the killing of Saunders, the bomb thrown in the Assembly, etc – can all be found in textbooks. In a film, I’d have liked to see something beyond that, not as you mention, something that’s so like a documentary. Thank god, manoj kumar didn’t make bhagat singh run around trees. You have a point. I’m not really sure – I know construction on Lutyens’s Delhi began after the end of World War I, and it took 20 years for it to be completed. But whether or not the parliament building and the secretariat buildings were among those completed within the first decade… don’t know about that. According to Wiki the buildings were completed and handed over in 1929, but the parliament building (then assembly) itself was completed in 1927. If the secretariat buildings were completed and in operation is not clear! I’ll certainly have a look at your post tomorrow (it’s already pretty late today, and I’m nearly falling asleep in front of my laptop!). Compared to Purab aur Pachhim, I guess Shaheed is certainly more restrained. But as far as recounting the story of Bhagat Singh is concerned, I thought a much later film – the Ajay Devgan-starrer The Legend of Bhagat Singh – did a far better job. You could sense the spirit behind Bhagat Singh, the anger that spurred him on… will check out your post, though! Thanks! Whenever we write a book or make a film based on some personality, we do do one mistake for sure. And that is to highlight only one dimension personality of that person, Either Black or White. But characters are never Black and White, they are always grey. In “The Legend of Bhagat Singh” Chandra shekhar Azad is totally sidelined. That time Azad was the chief and mentor of HSRA. Still Movie shows Bhagat Singh is above all, He takes all important decision, he decides what to do and what not to do and others incuding Azad (chief of HSRA) has to listen him, praise him and follow him. Height of stupidity. Bhagat singh who is the very new member of HRA consoles the chief -Pandit ji (Azad), Bhagat singh says to take revenge of killing of Lala Lajpat Rai, he decides to throw bomb in parliament, he initiate the hunger strike in Jail, every thing is done or started by him only and others or even the leader of organization (Azad) does nothing. Movie disrespect Rajguru also and didn’t portray him in well manner. No doubt Bhagat Singh became famous countrywide as the case run for many days and Durga Bhabhi (Wife of Bhagwati charan Vohra) requested Gandhi ji to help in this matter and then others also followed her. Most of the information regarding Chandra Shekhar Azad we got from Bhagat Singh’s writing only as Azad always remained in disguise. He never be caught. Still Bollywood needs to do ore research while-making historical movies. more a less its like a documentary. i liked its songs espcially jogi hum toh loot guye tere pyar mein cause in the legend of bhagat singh amrita rao dances which i don’t like at all. the court room scenes are long and dialogues delivery are over the top. but i do like dialogues. the legend of bhagat singh is better film than this. manoj kumar and team met bhagat singh ji mother in PGI chandigarh where she was admitted and was not taking medicines. her son said this to manoj and then he asked mata ji dvaai kyu nahi khaani ?? khaa lijeye then mata ji replied tu kehta hai toh main khaa leti hu. shaheed team took her to attend national award function and it was emotional ceremony. I wish to convey that this movie or any movie made on Bhagat singh is above anything for a reason. Freedom fighter B.K.Dutt ji widow Smt. Anjali Dutt ji used to teach my mother geography in 6th class. ( alumni of the school was Tarukeshwari sinha ji ) Acc to my mother anjali ji used to wear white saree only and used to remain calm always.